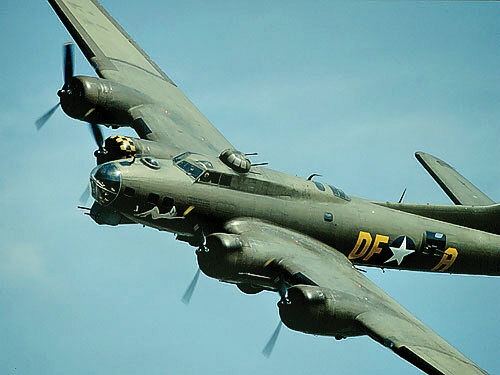 Learn all about the B-17 Flying Fortress bomber like the one pictured by attending the Sun Lakes Aero Club gathering beginning at 6:30 p.m. on Monday, November 19, at the Sun Lakes Country Club. The public is invited to attend. The history of the B-17 Flying Fortress bomber will be the topic of a presentation at the Sun Lakes Aero Club gathering Monday, November 19, at the Sun Lakes Country Club Navajo Room. The event begins with coffee and camaraderie at 6:30 p.m., followed by the presentation at 7:00 p.m. The public is invited to attend. Speaker will be Col. Jim Evans (USAF Ret.) who is affiliated with the Commemorative Air Force (CAF) Museum at Falcon Field in Mesa. He also will talk about how the CAF obtained, refurbished, maintains and is flying the B-17 named Sentimental Journey. The aircraft was originally manufactured and delivered to the U.S. Army Air Forces for service in 1944 where she flew missions in the Pacific Theater. In 1978, the aircraft was purchased by a CAF member and donated to the recently-formed Arizona unit of the CAF. She was meticulously restored and maintained in flying condition. The Sun Lakes Aero Club is an official Sun Lakes organization made up of pilots, former pilots and others interested in any aspect of aviation. The club has monthly gatherings, November through April, featuring speakers on a wide variety of aviation-related topics. The public is invited to all gatherings. 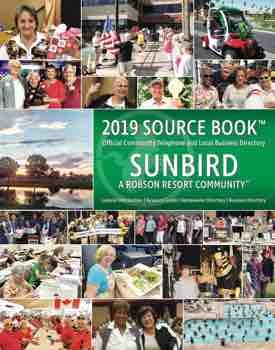 Additional information on the club is available from Cannon Hill at 509-539-7857, Gary Vacin at 480-298-7017 or on the group’s website, www.sunlakesaeroclub.org.